We have a lot of questions about an Instagram video that has been sent out into the world on Monday. The Insta-vid features Tom Hanks dancing at a grand event that looks very much like a bar mitzvah, but it's actually a wedding. Justin Bieber was the one to capture Hanks going nuts on stage at Scooter Braun's wedding reception, and yes, it is glorious. And yes, we have questions. This video was posted to Justin Bieber's Instagram account. 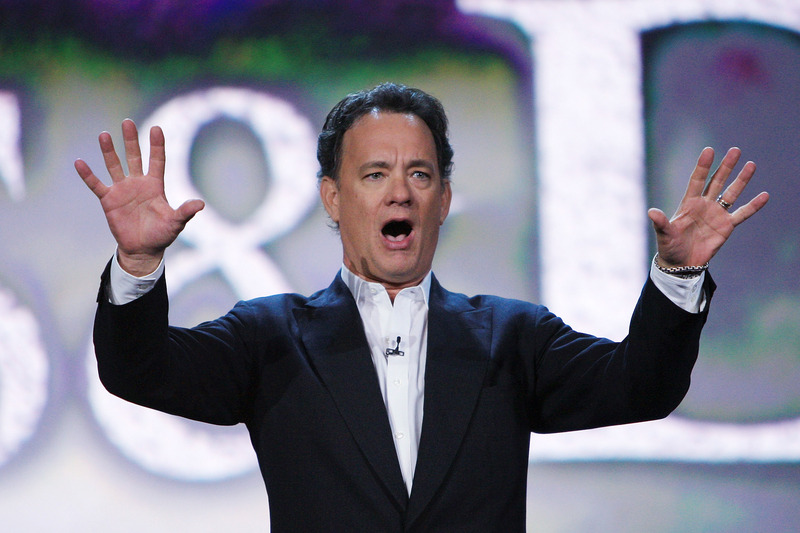 Is Bieber even allowed to exist in the same physical space as America's sweetheart Tom Hanks? That doesn't seem right. If this took place at Scooter's wedding, why in the flying hell was Tom Hanks there? What don't I know about this connection? Wait, don't answer that. I don't want to know. Does this mean Tom Hanks would come to my wedding? The wedding took place in Whistler, British Columbia. Why did our boarder patrol let Bieber back into the States? He was in Canada! He could've stayed there! Despite the many ways in which this all puzzles us, I am grateful to this video for its very existence. Now all this world really needs is for Hanks and Zac Efron to reenact that video of Efron dancing to Jason Derulo's "Wiggle." Or perhaps for a Big 2 starring Efron and Hanks together? Or both! Both would be good.